Have You Ever? 38/52. #LifeThisWeek is 2! 2018.93. I have said in previous posts that sometimes my reason for an optional prompt is not always remembered when I get to it, which is why THIS one is very simple…or complex depending on how I decide to respond. It’s time to mark a special occasion. 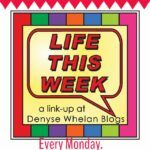 It was on Monday 12 September 2016 that the first link up for #LifeThisWeek debuted. As many of you will recall, Kirsty had retired I Must Confess as a link up and I was able to introduce this one for bloggers who post (and link) on Mondays. 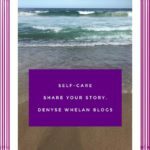 In the two years much has happened to me and to you, my blogging buddies and readers, but what has not changed at all is the community, the conversations and the connections we make as we read and then comment on others’ posts. So, biggest thank you goes to you all. Without you there is no link up! #LifeThisWeek is going into 2019 and I am delighted about that as I hope you are too. Have You Ever…been published in the media? That is the question I decided to respond to. Well, yes I have. In local newspapers when I was a school principal and stories were published about the school and its activities. I had my photo taken with my eldest granddaughter aged 4 at the Christmas Carols in the local park and that was very pleasant. I have had articles written about my work when I was an Education Specialist helping families from Early Childhood centres navigate the starting school issues. I have written to newspapers and have had letters to the editor published in both the Sydney Morning Herald and the Daily Telegraph. Articles by me were published in the N.S.W. Parents and Citizens Journal for some time. In April 2017 I did what I thought was a brave thing, and encouraged by an on-line friend who had done the same, I put my story (as asked in the questions on the site) for a year-long project called Celebrating Women. The aim of the founder, Dr Kirstin Ferguson was to have 2 women share their story a day for 2017 and that it was the spread the word around the world, of the very essence of these women. Not limited to Australia or by age or by career. I admit now, I wondered “me?” “really?” but sent in the responses and the photos. And forgot about it as being diagnosed with cancer some weeks later, I was totally in another headspace when I got the email from Kirstin saying “your profile #298 and story is ready to go live on…(date named)”. I was feeling vulnerable and unsure about whether I wanted to share my profile as now the “word cancer’ was part of my story. I wrote to Kirstin about my feeling vulnerable and her kind words in response were that of course it was up to me but that maybe, my cancer diagnosis and news of my surgeries and treatments in the future would give others more insight into me. I said yes. My story was published on 31 May, just 2 weeks after my cancer diagnosis. My post about Celebrating Women is here. 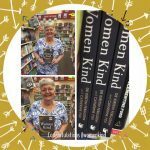 Over the next year I was updating myself about the #CelebratingWomen stories and saw that Kirstin had been approached to write a book in conjunction with Catherine Fox about the project (which ended up with over 700 profiles by the way!). 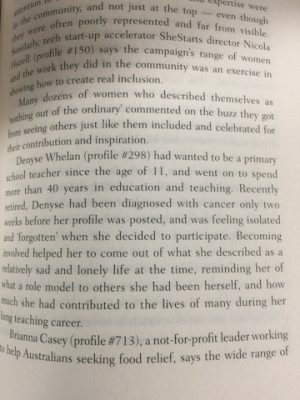 The book, called WomenKind has just been released and with my permission, Kirsten wrote this paragraph about me. I was very proud to see it when I leafed through a new-on-the-shelf version. My own copy is still winging its way to our place. Excited not only to be part of #celebratingwomen but to be quoted in the book! Any optional prompt suggestions for next year’s Life This Week gratefully accepted in the comments! Next Week’s Optional Prompt: 39/52. Last Thing I Bought. 24/9/18. 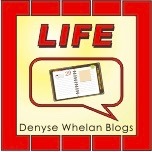 Firstly, happy 2nd birthday Life This Week. Secondly, yes re the media thing. I’ve done a reasonable amount of freelance writing in the past and still write an annual article for Wellbeing Astrology, plus have done some ghostwriting of weekly horoscopes for the Sunday papers. have a great week. How interesting Jo. That is impressive. I hope it provides a balance in your writing life. You write a lot and for different purposes. When I think about the last two year…for you and me, then it’s been a BIG two years of change. 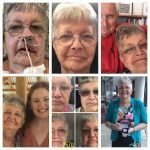 Thank you kindly Sue, yes the blogging community is one I treasure and through my difficult times, even before cancer, it has buoyed me many times. It is fun to know that “little me” is in a book. As the author, Kirstin said to me on-line over the weekend, did you go straight to the index for your name? Yes!! And the fact that part of my story forms a paragraph in the book is just the icing on the cake. Well done on a two year milestone. It’s always enjoyable to read here each week. Thanks so much Jody. I knew I would miss linking up when Kirsty decided to finish up so I ventured into the unknown and now we are two! I sure hope you get to write that children’s book. Love seeing you here each week. Oh yay for you saying that Di! It is a bit of a regular lifeline for me to have something regular to write and comment and connect as in retirement and recovering from cancer it would be difficult for me not to have a routine of sorts. Congratulations on two years – that is quite an achievement. And so to on being published. I’m an ex journalist, so I’ve been published a lot. But I got a quick when I was published as an author. Once was a book called Living In Paradise, which was commissioned on behalf of and distributed by Australia Post. The other was called Happily Ever Parted – Surviving Separation and Divorce, which was published by New Holland Australia. I’m still working on a few other books. I think the biggest kick for me though, has to have fiction published. A hobby is to write short stories and I’ve had those published in magazines in Australia and the UK. It’s not a big deal for me to get features and ‘real-life’ stories published, as that’s part of my job (and I still dabble), but to have a book or fiction published seems more personal. Probably because I’m putting a bit more of ‘me’ in it. 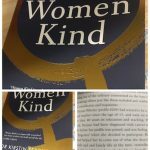 WomanKind sounds like a fantastic book. I will have to put it on my list to read!. Thanks Bronnie. Yes I knew of your book “Happily Ever Parted” but not the other one. Of course you have been published…as a journo, lots of times!! 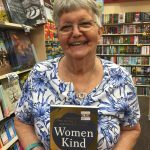 The co-author of Womenkind was in Kingaroy on the weekend (I know it was some time in last few days) telling the story somewhere and I remember thinking I wonder if Bronnie will be going. 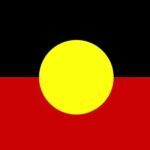 Dr Kirstin Ferguson is worth following on twitter, and if you get a chance check out the post that I wrote about the project last year. Fantastic effort Denyse! I love your question and answers. You should be very proud! Thank you Debbie. I try to keep this brain active coming up with prompts. 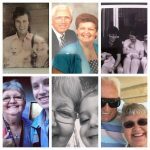 I so loved seeing your family pics on becoming grandparents. It is a magical time and I feel very fortunate to have 8 of these wonderful people in my life who call me Grandma. There are 6 girls and 2 boys: 21, 18,17,10, 9 (today is my GD’s birthday), 6,5,3! How exciting, Denyse! Congrats on the publication. And Happy Happy 2nd Birthday to Life This Week! 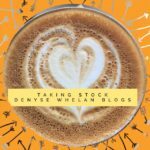 I’ve made so many good blogging friends through your link and planning my weekly post to contribute is one of the highlights of my blog routine. Oh I loved reading that, thank you. Now, if you have any brainwaves and want to send me some prompt ideas. It is fun having a book in the shops with something written about me that’s for sure! Denyse your fame just continues to grow. When are you going to publish a book of your own? I can see you putting your story together and inspiring others – maybe a project for somewhere down the track? and then there was a LOOOOOONG break thanks to cancer. I have recommenced, using the blog on Tuesdays to do so about every month. I won’t ever publish in a book as I want to keep the schools, places and people private. I am not sure how the story will continue as I am about to draft the fifth one. I print them off and keep them in a folder for me to remember and for any interested family members. I do the same for my cancer posts. 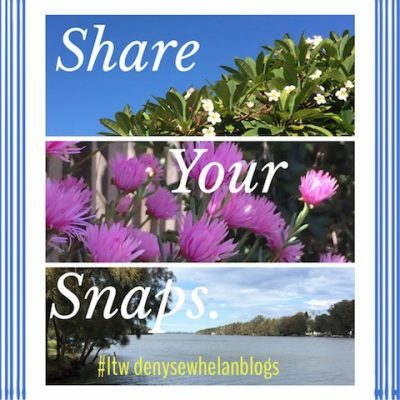 Hi Denyse – I posted a comment but didn’t see it here. 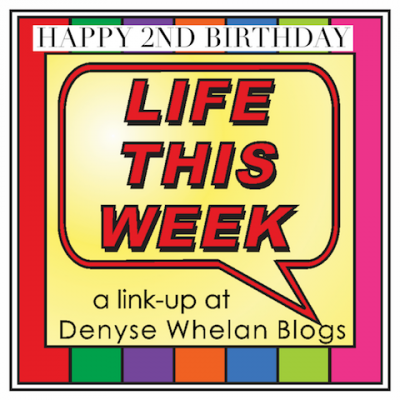 Just in case it was lost, I’m resubmitting…Happy 2nd birthday to Life This Week and Congratulations on the publication! I enjoy the 3Cs (community, conversations and connections) that you mentioned. Thank you for hosting the link-up. Thank you Natalie. This does seem to be the first comment but it may have gone to spam…I will check. It did. Sometimes I have no idea why. Thanks for letting me know. I am so pleased you have joined us each week, and share the same philosophy too as a blogger. Congratulations on your 2nd year and on being published. Thank you for hosting this linkup and glad it will continue in 2019. 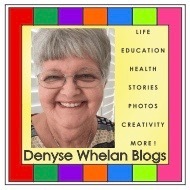 Thanks so much Suzy and I am glad it’s continuing as this is a friendly link up! Happy linky-a-versary. That is so cool to be in someone’s book! The written word will outlive us which is why I think it’s so important to write. Thank you for joining in here whenever you can. Yes, the written word will outlive us. I must say I probably need to think about letting my daughter be an admin here as she is my ‘legacy-person’ on FB meaning she can stop my account via FB’s systems. Thanks Jennifer. That sounds like you have had fun putting together your words for articles. I am pretty content at the moment with the in-book mention and three websites have published my story re cancer. 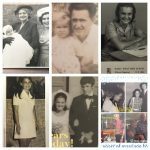 I am wary of too much sharing because of family privacy concerns which is why my ‘telling my story’ is remaining on the blog and with no direct names of places mentioned. Wow two years already. Where does time go?! How wonderful you’re part of that book, good on you for having the courage to step into the unknown and getting you’re story out there. Thanks so much Alicia. Yes, two years for the linky! Yours must be well over 6 if not more years old?